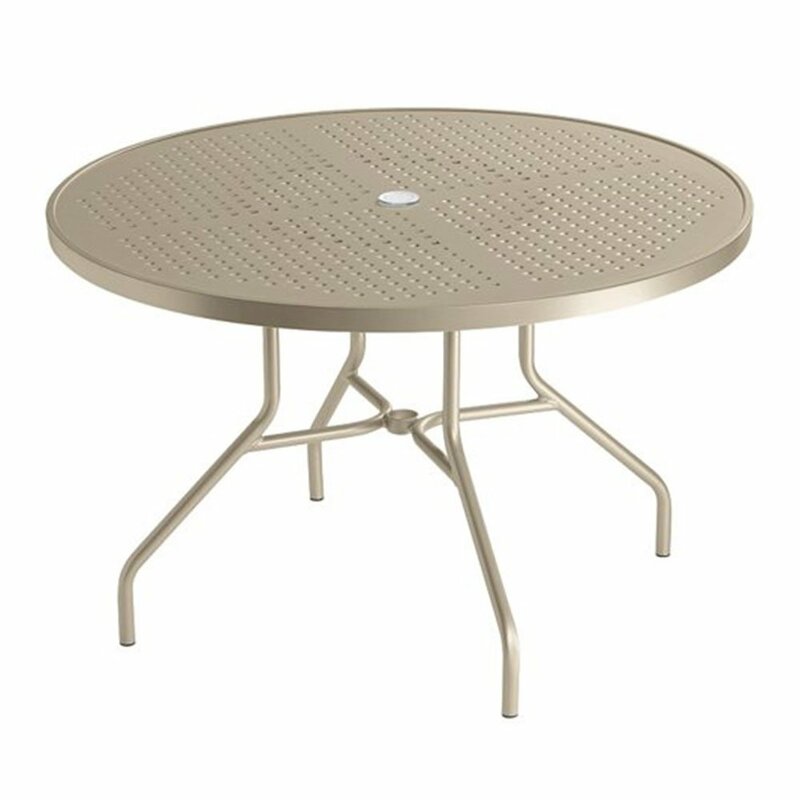 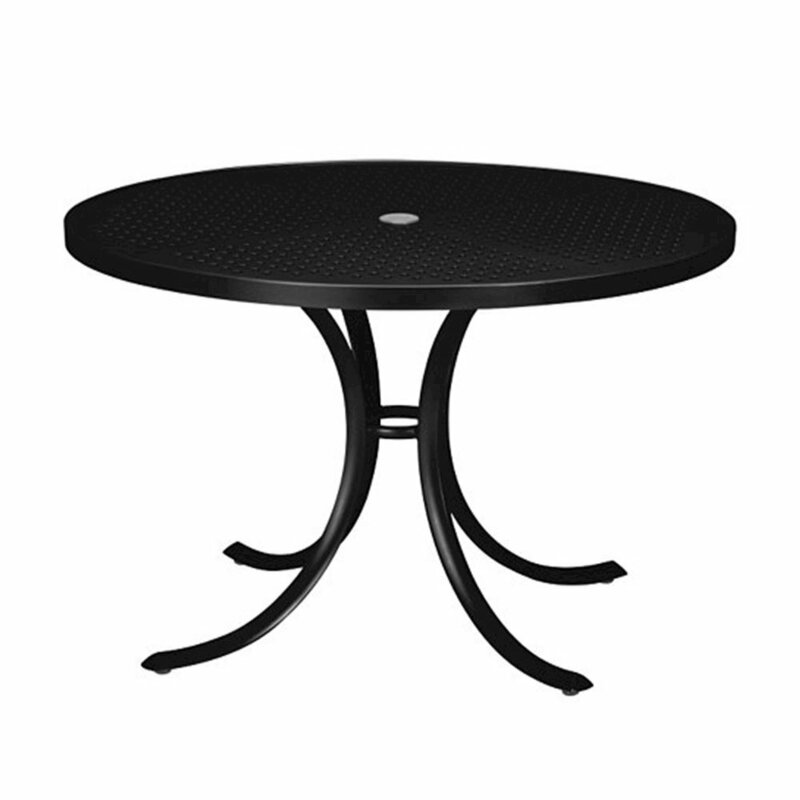 The 42" punched aluminum round dining table with umbrella hole by tropitone is perfect for any outdoor cafe, hotel or resort. Using a powder-coated all aluminum frame and top that is punched out of a solid aluminum sheet, economically friendly and durability are the number 1 priority with this dining table. 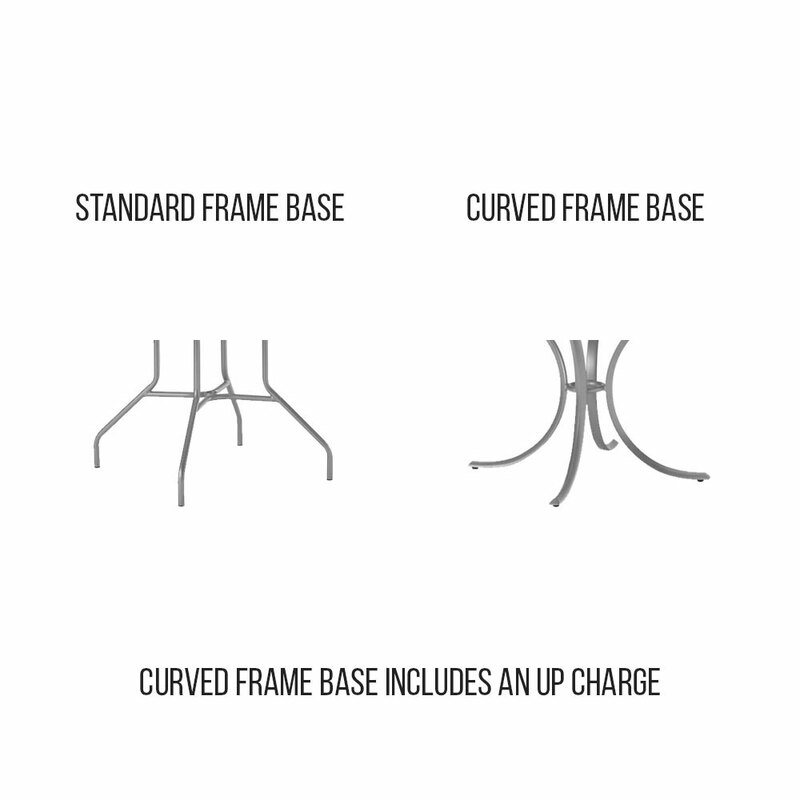 Distinguish yourself with the 2 separate top styles, Boulevard and La'Stratta along with the optional curved design frame base which is available with an upcharge. This table comes in a variety of separate frame colors to match your locations setting or other tropitone products. 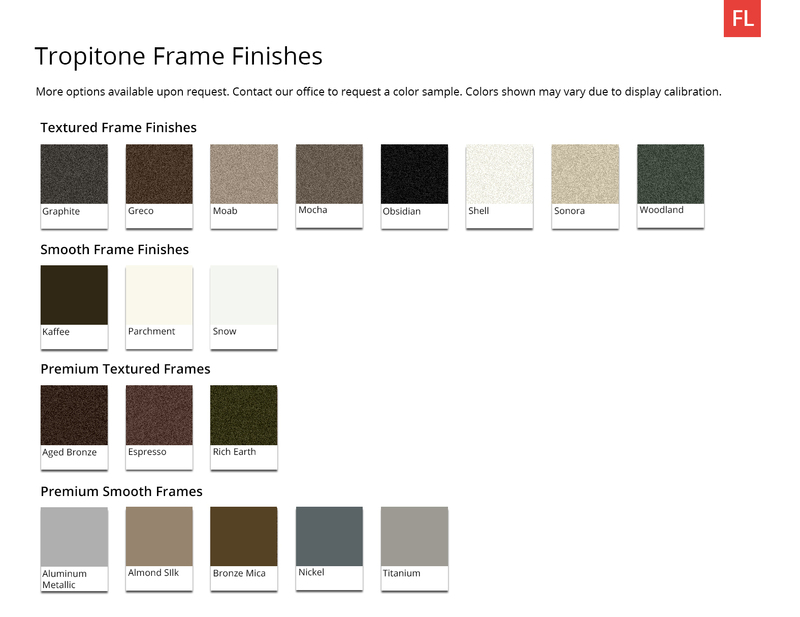 Included is a limited 5-year commercial warranty. • 27" Height x 42" Diameter - 48 lbs.